Ever since Pep Guardiola took over the mantle of the manager of FC Barcelona, the team has undergone an astonishing metamorphosis and it’s not a revelation that they have taken the entire world by surprise. Purists, however, still doubt the quality of the side with their lame accusations. But champions have always had their detractors and why should FC Barcelona be an exception? Nevertheless, Guardiola perhaps has his last opportunity next season to answer his critics as the talismanic manager is on the verge of leaving Barca! The Real Federación Española de Fútbol announced the fixtures for next season and the Catalan champions have quite a grueling schedule, more so with the 2011 FIFA Club World Cup scheduled to take place from the 8th of December, 2011 to the 18th of December, 2011 in Japan. Moreover, in the wake of the 2012 UEFA European Football Championship, which is from 8th of June, 2012 to the 1st of July, 2012, jointly hosted by Poland and Ukraine, the finals of the UEFA Champions League too have been advanced. The continental football championship has squeezed the time frame more for almost every club in Europe and more so for the European Champions FC Barcelona, as they play the highest number of matches in Europe, this season. FC Barcelona - Champions of Europe, yet again! The current squad, which is already thin, had been stretched to the limit and Guardiola’s men out-muscled oppositions in the form of Real Madrid, Shakhtar Donetsk and Manchester United by the skin of their teeth to emerge as the best team in Europe, yet again! The management is pursuing players in the form of Alexis Sanchez and Cesc Fabregas amongst others and has also promoted youngsters in Thiago and Fontas to allow the first team enough room. TheHardTackle brings to you the season preview of the Spanish and European Champions as per their pre-determined domestic schedule. The 2010-11 season commenced on the 14th of August, 2010 (Supercopa de España) and ended on the 28th of May 2011 (UEFA Champions League Final). The 2011-12 season is also scheduled to begin on the 14th of August, with the Supercopa de España against Real Madrid and should end on the 13th of May, 2011 and should Guardiola’s men go on to play in the UEFA Champions League finals in Allianz Arena, Munich, the season would end on the 19th of May, 2012. This is nine days earlier than what happened last season and also Barcelona has to travel almost half way round the globe to play in Japan. 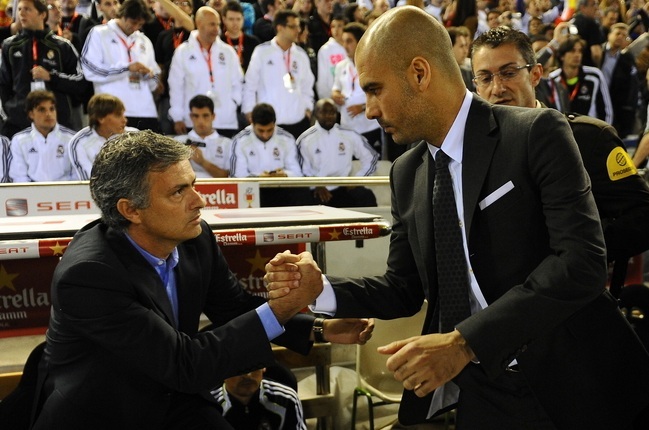 Perhaps, this season is going to be the toughest test for Guardiola and his clan. The Catalans kick-start their domestic campaign with the Supercopa de España against Real Madrid. Barca’s illustrious rivals have had enough of the Catalan juggernaut and answered them back in last year’s Copa del Rey final. A headed goal from Cristiano Ronaldo in the dying minutes of the match sealed Madrid’s first silverware ever since Barcelona hegemony commenced. However, the ideal step for Guardiola would be to allow his team to settle down and get into the groove, even if it means at the cost of the Supercopa de España! However, given Guardiola’s fiercely competitive nature and the ‘love’ that these two celebrated rivals share, it’s unlikely that either of them is going to take it lightly. August is going to be punishing as Barca plays as many as five matches in a matter of fourteen days against the likes of Real Madrid, Villarreal FC Porto and nouveau riche Malaga, who are also assembling a star-studded line-up and can be expected to give the big guns a run for their money under the tutelage of ex-Real Madrid gaffer – Manuel Luis Pellegrini. 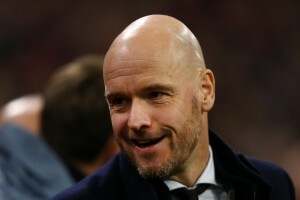 The European Supercup, which was touted to be a clash of two of the most entertaining sides in Europe – FC Barcelona under Guardiola and FC Porto under André Villas-Boas seems to have lost a bit of the glamor with the manager of the latter moving to English outfit Chelsea. Nonetheless, a cracking August is in the cards for non-Barca supporters around the globe, but the same cannot be said about the Cules, who would be hoping to see nails on their fingers, come September 2011. September might not look as excruciating as August, with matches against Valencia and perennial tormenters Atletico Madrid. However, thankfully Barca plays Atletico at home and that should allow Guardiola to have an extra man – the Camp Nou crowd! Last season these two fixtures saw Barca emerge victorious; but it’d be too complacent for Cules to expect the same next season! Moreover, Argentina and subsequently Lionel Messi and his Argentine teammates are supposed to tour Asia (India and Bangladesh) and Spain also plays Liechtenstein on the 6th of September, 2011; ergo international fixtures too will definitely add to the team’s fatigue. Apart from these two Spanish heavyweights, Real Sociedad and Osasuna also play the Spanish Champions. October will definitely stretch the Catalans. Another international break, when Spain plays Czech Republic and Barca plays five, will definitely prove to be agonizing for the Catalan club and only then will the importance of squad players – Keita, Afellay, et al will be emphasized. Sporting de Gijón, Racing, Sevilla, Mallorca and recently promoted Granada will be awaiting a fatigued Barca side to exploit. Last season, Barcelona did not lose against any of the first four teams and did not play Granada. However, they played yet another recently promoted team Hercules, and the latter achieved one of the biggest results in the history of the club. Barca succumbed to the Hercules onslaught at the Camp Nou and lost their first match of the season. Chances are high that the Catalans will definitely not take Granada lightly; however, if at all they do, then they’ll be the only ones to be blamed for any mishap. November and December apparently seem to be a bit relaxing, but keeping in mind the final group stages of UEFA Champions League and the 2011 FIFA Club World Cup will definitely not allow Barca to rest. The first of the Clasicos is scheduled for the 11th of December albeit they stand a chance to be rescheduled, depending on Barcelona’s progress in the 2011 FIFA Club World Cup, in Japan. Matches against Real Madrid are not only physically agonizing, but also mentally excruciating as a certain Jose Mourinho does everything in his strength to shift the pressure on the Spanish Champions. And quite certainly, as the second best team or in Jose’s words as the best loser, Real Madrid certainly doesn’t have anything to lose compared to the world’s best team at present (although arguably for detractors), FC Barcelona. The Manita won't be forgotten, ever! From what has been seen in the past, critics consider a draw as a defeat and a defeat as a disaster whenever it comes to Barcelona; they however, seem to forget that Barca might be the best team but they are definitely not the perfect team. Apart from Mourinho’s Madrid, Barca alse needs to tackle the likes of Bilbao, Zaragoza, Getafe, Levante and Vallecano to keep their season on track. Albeit these teams aren’t exactly world beaters, but have sufficient potential to torment any big team in Europe, including Barcelona. A cautious approach will definitely be the need of the hour then as the players would be extremely fatigued due to extensive traveling and hence might just lose focus ahead of the winter break. A twenty-day winter break should be like a blessing for the Catalans. Minor injuries, fatigue, bolstering of squad in the form of winter signing can be efficiently carried out in this span of time; however, with the winter break also comes the risk of losing momentum, just like it happened to them last season. 51 of their 95 league goals came in 16 matches prior to the winter break at an average of 3.1875 goals per match. However, that number was far less flattering post the winter break. 44 goals in the rest of the 22 matches at an easily calculable rate of 2 goals per match, which eventually shows a 37.25% shortage. The team clearly ran out of steam but were still better than most of their oppositions. However, resting on past laurels isn’t exactly Guardiola’s forte and from what has been seen, the former midfielder doesn’t seem to be too keen to develop a taste for that. Barcelona has been clearly improving every season and is expected to do so next season, which includes fighting the internal demons! One simple reason that can be stated, which makes this a mandate is that most teams will have re-evaluated their past season and chances are less that they’ll commit the same mistake they did last season. January isn’t exactly a good month for Barca and February is even worse. The famous February fever, which usually overwhelms the team during the month, might just derail their progress. Last season, Barca played Deportivo, Malaga, Racing and Hercules in January. Although they won all four encounters, their performance was far from convincing. Next season, in January they play eternal rivals Espanyol, Real Betis, Malaga and Villarreal – not easy by any stretch of imagination. The ‘Chosen Ones’ to exploit Barca’s freakish February fever are Sociedad, Valencia, Osasuna and Atletico Madrid. 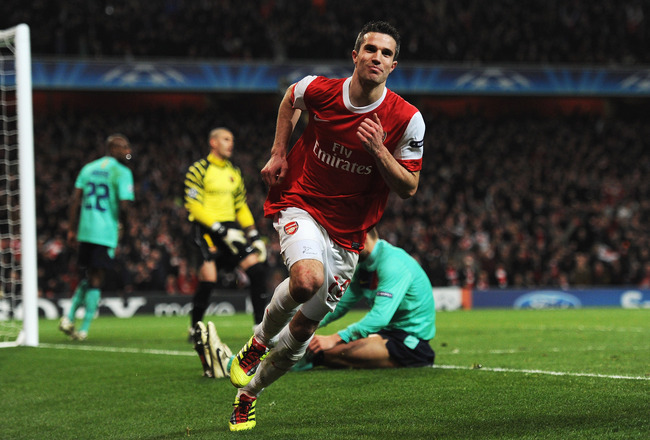 Last season, February was marked because of the stunning away loss at the Emirates, which Arsenal still takes pride in. Next season too, Barca is expected to play in the Champions League Round of 16; however, whether they come across their February nemesis Arsenal, is yet to be seen. Neither has Barca qualified for the Round of 16, nor has Arsenal for the Champions League! Eleven La Liga matches define March and April. In a span of 55 days, Barca plays 11 matches including a Clasico – that’s 1 match every 5 days. Ridiculously spanned, March and April can seriously challenge the resilience of the Champions. If last year’s statistics are to be considered, Barcelona played 9 league, 4 Champions League matches in March and April and the final of the Copa del Rey – a total of 14 matches in a span of 58 days – 1 match every 4.14 days. Assuming that Guardiola’s men will reach the echelons of the last season, they are expected to play 16 matches in a matter of 55 days – 1 match every 3.43 days. In the words of William Frederick Halsey, Jr. – “There are no great people in this world, only great challenges which ordinary people rise to meet.” Guardiola’s team has already re-written history, but to stamp their authority as the best ever, they need to overcome the penultimate hurdle. Whether they can do it or not remains to be seen. May – the final frontier. Either everything will be lost by the time May 2012 comes, or everything will be at stake. Chances of the latter are higher though. Guardiola is already a club legend. As a player and manager, he has won 26 trophies with Barcelona – more than what many clubs win in their entire period of existence! The month of May might just thrust him from a mere legend to a myth. If the current Barca team withstands the rigors of the 2011-12 season and emerge victorious, there will be no doubt about their authority and superiority. They might just be the benchmark now in Europe, but come May, 2012, they might just have the opportunity to be the benchmark in the glorious history of football. Espanyol and Real Betis have the final chance to spoil Barca’s chances (unless they already win the league with these matches to spare). Apart from that, a Champions League final in Munich is also a possibility. They did it in 2009 and 2011. Can they do it again in 2012? So to cut a an over-2000-word story short, 2011-12 will be the most challenging season for Guardiola – definitely as a manager and a Barca legend!